Content marketing is not just crowned king, it has become the forefront of the entire digital marketing strategies. As a content marketer, you might have already started using WordPress to create content for your brands. If so then you supposed to figure out that it’s very easy to publish content. But the hard part is generating traction from your content. 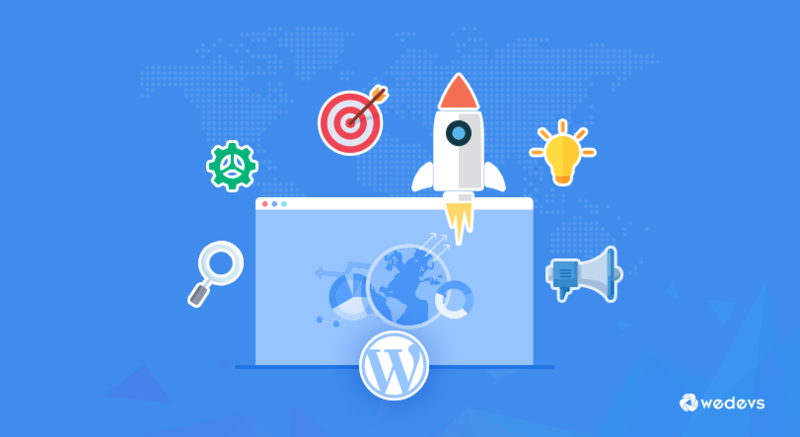 Since WordPress has become super popular CMS and with times, now many of the most established brands, renowned marketers and bloggers are using WordPress for marketing their contents. One of the main reasons behind these massive expansions is its ability of extendibility. You can easily add a stack of functionality by installing plugins. Below, we will be sharing some great plugins that can make your job as a content marketer easier and your blog content more productive. Some of these plugins will help you smoothing content marketing distribution process, while others may help you to get better impression & engagement with your readers. One of the main challenges of content marketing is content distribution. Sharing your content on social media is always time-consuming since you got to handle multiple platforms. If you are creating creation of new content and the continual sharing of it on the different social media platforms can be a full-time job within itself. CoSchedule can help with continual sharing your content on the different social media channel and save you much time and energy. Co-Schedule is the all-in-one content marketing plugin for your WordPress site to make your life easier. It comes with an impressive list of features that could be the dream of any content marketer. Just the price tag could be little concern for you since they don't have a free version like the other handy plugins we are going to suggest below. But you must consider checking at least their 14-days free trial. After you have ensured the continual content sharing process on all social media platforms, do you think it's enough for your brand? Look around, sharing the content only from your brand account is not going to proof your digital footprint unless you can generate some tractions and engagement. Here comes the Inline Tweet Sharer plugin that will allow your users to share any line within the post. It could be a quotation or some insightful line that users might want to share from their profiles, not the whole post. If you use this FREE plugin to let your readers share the line within a blog post. They are basically sharing it with their friends/ followers and you will get more social reach. So, your content is getting distributed throughout the mass audience rather than your usual target group. Do you want to boost comment engagement by making it easier for your readers to keep the track? Usually even readers want to make comment but they are very unlikely to comeback later to check the comment section. By using Replyable, you can help your readers to subscribe the comments via email. Comparing to other comment plugins, the unique feature of Replyable is – readers can directly respond to comments from their email inbox. So, they don’t need to come back to your website which can significantly improve your engagement rate. Rich Snippets add something called schema markup to your content that helps search engines to understand your context from WordPress pages and posts. Not just that, it will let you customized the snippets as you want to display it. For content marketing, a well set rich snippet can help to increase the click-through rate dramatically for your content. If you are a content marketer, then we don't have to tell you about the importance of content curation. And you would agree that it's not possible to create great content every day. But you can always drive traffic from your old but popular contents. Revive Old Post plugin lets you engage with your users on social media by sharing your old content automatically. You can control over what will publish on your social media profiles but this plugin will automate the whole process by itself. In addition to these top plugins, there are numbers of other WordPress tools to maximize your content productivity by ensuring the constant content distribution. Did we miss a solution that you use? If you are using any other plugins with impressive features that helped you with content marketing, please feel free to share your thoughts in the comments below.